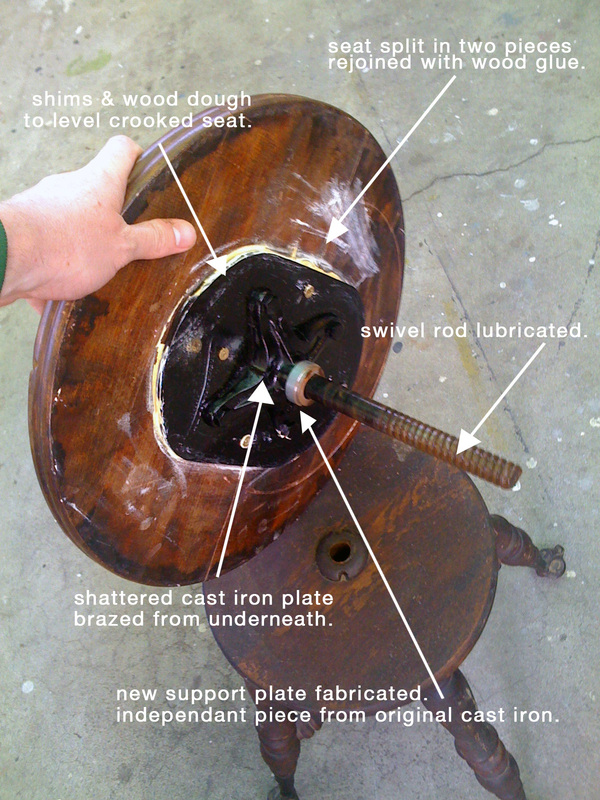 I love the piano stool rescue!!! 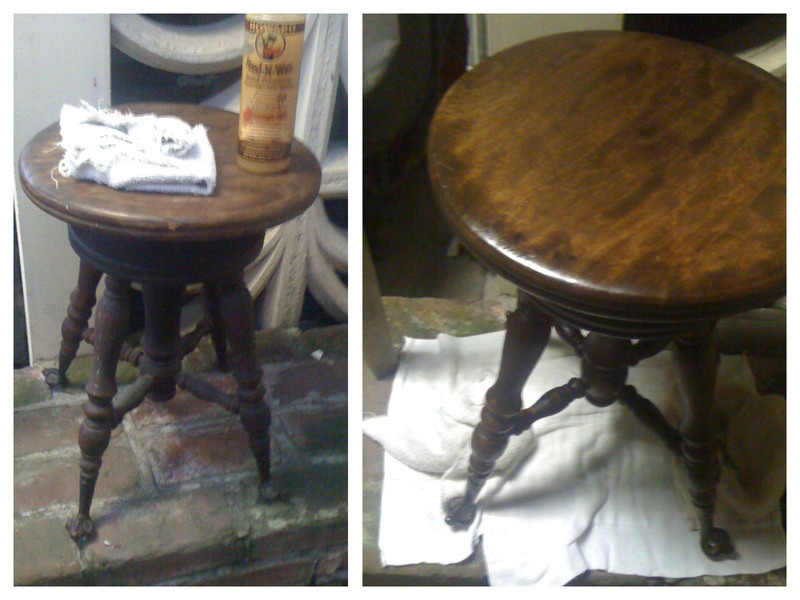 That is the same wood cleaner my mom uses and it really makes a difference. 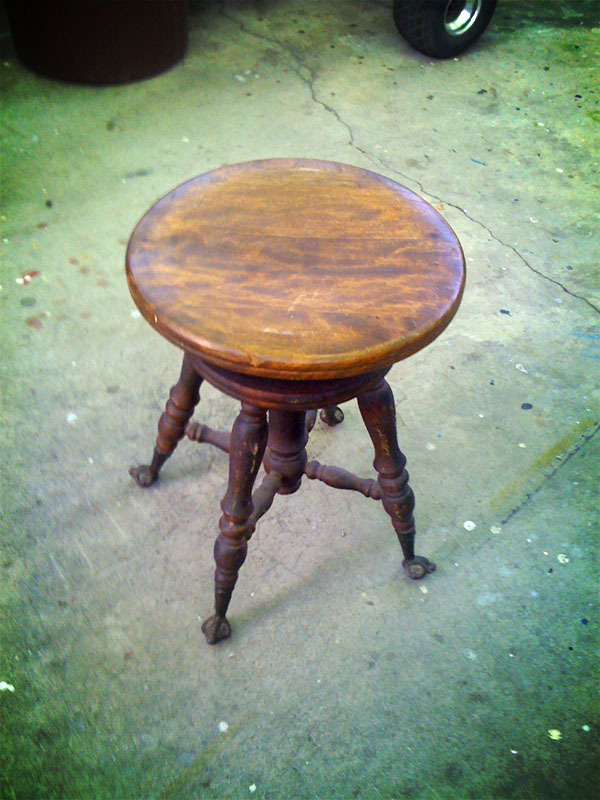 When I first moved here, my mom and I bought a piano stool just like the one you have for about $10 at a yard sale. They don’t seem to care as much about antiques out here, so the prices are great. I am a decorating nerd, so I love to hear about restoration projects, haha. Oh Danielle, I should just give you money to buy me antiques out there and you can bring them when you come to visit! A $10 piano stool like that would be a steal out here. And I thought $25 for a busted one was great. I have a piano stool that I can’t get to turn. How did you get yours off and what did you use to lubricate it with? did you ever figure out how to clean the claw feet? I purchased one the other day that is in excellent condition (minus 1 glass ball in one foot and a cracked other one) but I figured $15 for it was a pretty good deal. Actually, I never did figure out the feet! The glass balls are still in this one amazingly enough. Thanks for letting me know about the wood cleaner. I just purchased a claw and ball beautiful piano stool from a yard sale today. The cost was $2.00.